Filipinos are great innovators, adept at coming up with practical and ingenious solutions to everyday problems. However, due to limited funding and support, these local innovators rarely see their products go to market. 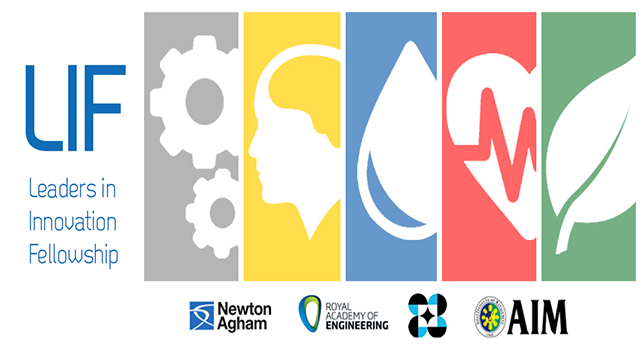 This is why Newton Agham, the UK's Royal Academy of Engineering, the Asian Institute of Management (AIM) and the Department of Science and Technology (DOST) are all working together to develop the Leaders in Innovation Fellowship (LIF). The LIF Programme in the Philippines is a partnership between the UK's Royal Academy of Engineering and DOST. AIM delivers the training locally. The program is also offered in other Newton Fund countries. LIF aims to equip scientists and engineers with knowledge about entrepreneurship, so that they can turn their innovations into products that can be sold in the market. Check out the innovations developed by some of this year's LIF fellows—and yes, some of these innovations can give Google Maps, Microsoft, and Tesla a run for their money. Say goodbye to bulky monitors and flat-screens. With SmartSurface, one can turn any surface, such as a wall or a table surface, into an interactive screen for learning, presentation, and even play purposes. SmartSurface primarily wants to “change the world one tap at a time” by creating a classroom environment that is feasible for interaction, says its innovator Dr. Nestor Michael Tiglao. He and his team already have an existing prototype and patent for this innovation, and are now on to product development and market validation. Unknown to most, there is a lack of ventilators in the intensive care units of public hospitals in the Philippines. These life-saving devices are bulky and often come at a cost, which is why most public hospitals can't afford to have one. This prompted critical care specialist Dr. Abundio Balgos and his team to develop a lightweight and easy-to-use ventilator called Ginhawa. Ginhawa also has a back-up battery, which makes it ideal as a transport and home ventilator. Currently, Balgos' startup called ReliefVent is in need of an additional Php 20 million funding. “We want to be a self-sustaining startup and not depend on government funding,” adds Balgos. Having a basic GPS (global positioning system) tracking device in vehicles is not something to be proud of anymore. “Why do we limit ourselves to this technology?” says Dr. Proceso Fernandez Jr., the innovator of PinPoint, which boasts of an accurate multi-sensor tracking system, with initial use to prevent vehicle theft and other forms of vehicle-related theft. Then, it is improved to have an integrative geo-tracking system, which can now sync camera and microphone functions. This feature, says Fernandez, can help in both traffic management and vehicular accident reporting. Fernandez built a startup company called Tech2Go so that they can further develop related technologies around PinPoint. Heart and vascular diseases remain the top killer diseases in the world, even in the Philippines. Who among us doesn't have a relative who has had a heart attack? What's worse, one in five survivors will die within one year after their first heart attack without proper cardiac rehabilitation, says Engr. Gianinna Santos. This prompted Santos and her team to develop HeartSmart, a stand-alone and adaptive exercise training system for cardiac rehabilitation. Since HeartSmart fully automates the cardiac rehabilitation process, doctors and therapists can now take on more patients at a time, making them productive and efficient. It can be quite expensive to set up a science lab, especially in public schools. This lack of science and research equipment in public schools is doing young, inquisitive Filipino minds a disservice. VISSER, which stands for Versatile Instrumentation System for Science Education and Research, aims to “put modern science laboratories in every high school and college,” says its innovator Dr. Giovanni Tapang. VISSER is a complete hardware and software solution which enables over 60 experiments in biology, chemistry, physics and engineering. Tapang and his team are currently looking for licensees to help them manufacture the technology for distribution in public and private schools. Bacterial skin infections are common in the Philippines. Traditional healers have used guava as a natural antibacterial solution, but it has yet to be fully utilized in medicine. Dr. Cecilia Maramba-Lazarte and her team at the Institute of Herbal Medicine, the same team that brought lagundi and sambong to the over-the-counter medicine market, developed a topical ointment made from guava called Guaviderm. Guaviderm, unlike antibiotics, has less chance of resistance to advanced skin infections due to its multiple antibacterial compounds. Currently, Maramba-Lazarte and her team are looking for licensees to help them mass-produce Guaviderm. The Leaders in Innovation Fellowship of the AIM and DOST is open to any Filipino scientist, researcher or innovator who wants to develop a business proposition or a startup business for an existing technology or innovation. To know more about the program, visit its official website at http://excell.aim.edu/lif. Toni Antiporda is a freelance business journalist and former deputy associate editor of Entrepreneur Philippines. You may reach her at toni.antiporda@gmail.com.